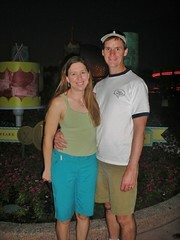 Dennis & I went to Disneyworld to visit the Caffery family and also to partake in the 15th Annual Food & Wine Festival. The Cafferys were great fun (as always) and wonderful hosts. 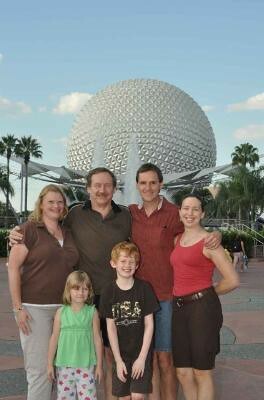 The first day we went to Epcot Center and walked around the lake. 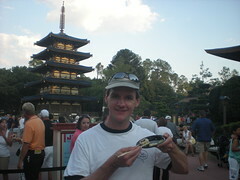 Food samples from around the world were presented and quickly gobbled. My favorite was the Ceviche & Empenada (Spain) and the Polish Cabbage Roll & Potato Dumpling. We ate and ate and ate. 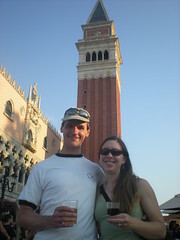 I also managed to drink my fair share of wine while Dennis enjoyed the beer. This entry was posted on Sunday, October 10th, 2010 at 4:13 pm and is filed under Social Event. You can follow any responses to this entry through the RSS 2.0 feed. Both comments and pings are currently closed.